Carmelo Anthony slammed Rajon Rondo for his role in the ugly scenes which overshadowed LeBron James' home debut for the Los Angeles Lakers, accusing the point guard of spitting. 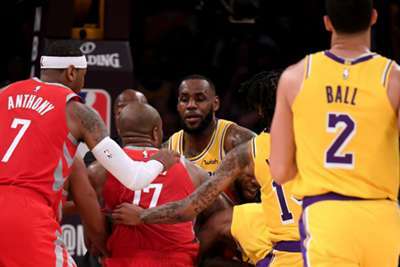 Tempers flared at Staples Center on Saturday night, with punches thrown after Brandon Ingram pushed James Harden during a 124-115 victory for the Houston Rockets. Ingram, Rondo and Chris Paul were ejected late on following a melee which boxing legend Floyd Mayweather Jr. watched from courtside. 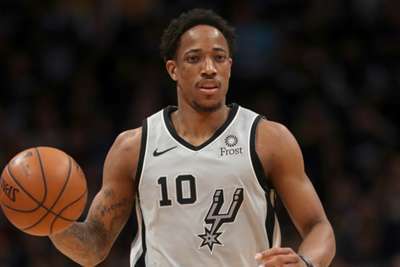 Rockets star Anthony laid the blame firmly at the door of Rondo, who did not speak to the media but is reported to have denied accusations that he spat at Paul. "We all know what happened, ain't no need to keep going back and forth about that. What happened was unacceptable, shouldn't have happened." Anthony told reporters. Asked about a spitting incident, he added: "Yeah, that's unacceptable. You don't do that to nobody – in sports, on the streets, that's blatant disrespect right there. That's unacceptable. "You don't even see that in the streets. I don't know what else to say about that." James, who tried to play peacemaker in a dramatic home bow, said: "I didn't see anything. I didn't say nothing to my team-mates after the game. "I just tried to calm things down, that's all, play basketball."